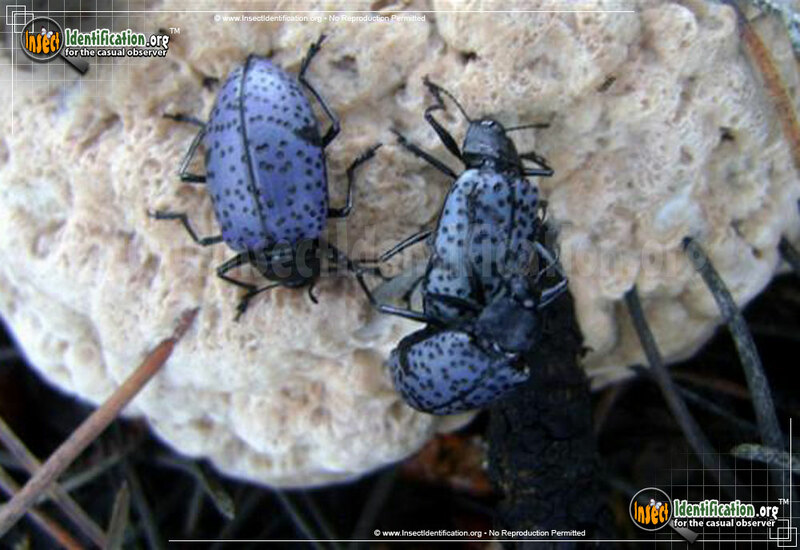 Detailing the physical features, habits, territorial reach and other identifying qualities of the Pleasing Fungus Beetle. The high altitudes are the home of this Pleasing Fungus Beetle where undisturbed rotting wood loaded with fungus supplies a tasty buffet. 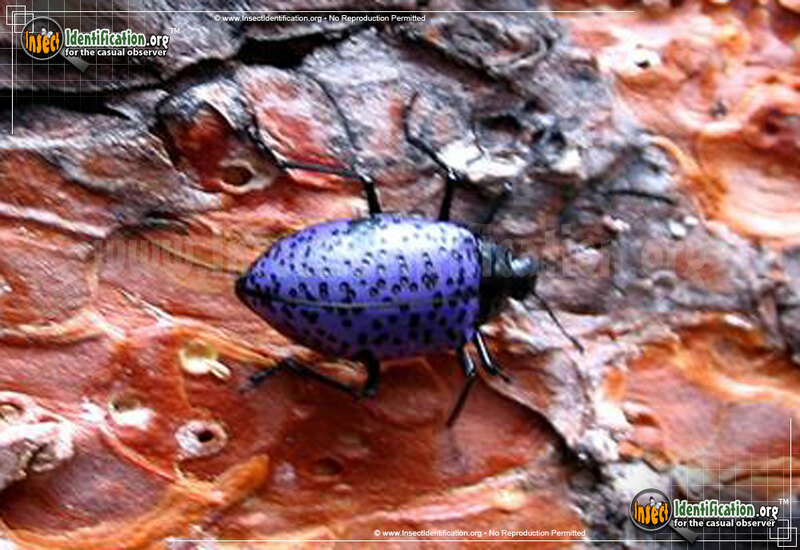 This species of Pleasing Fungus beetle is found in the mountains of select western states. The higher elevation sustains a different ecosystem compared to lower altitudes, and this insect takes advantage of the rotting wood found on the mountainsides. Its steely gray elytra (wing coverings) are speckled with black dimples much like the small depressions seen on golf balls. Its head, pronotum, and legs are black. As its name suggests, the Pleasing Fungus Beetle enjoys fungus as a food source. It is often spotted walking around, on, or under rotted logs, tree trunks, and branches. A female even lays her fertilized eggs on fungus. When larvae hatch, they stay on that fungus and eat it. Larvae look very different from adults. They are more worm-like with spiky fringe around the edges of their black and white tubular bodies. They molt several times leaving behind exoskeleton 'skins'. When ready to pupate, they hang onto the last 'skin'. Look for these discarded remnants under logs or branches where adults are seen; they tend to stay relatively close to offspring and younger beetles despite being in different life stages. 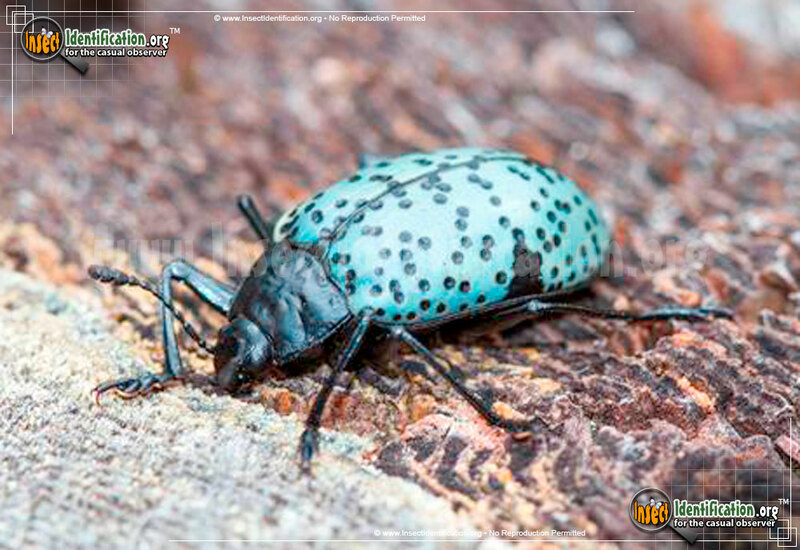 This beetle is most active in the summer and can be found in forests, along creeks and streams, or in wooded canyons, especially in areas with moisture, which is helpful for fungal growth.